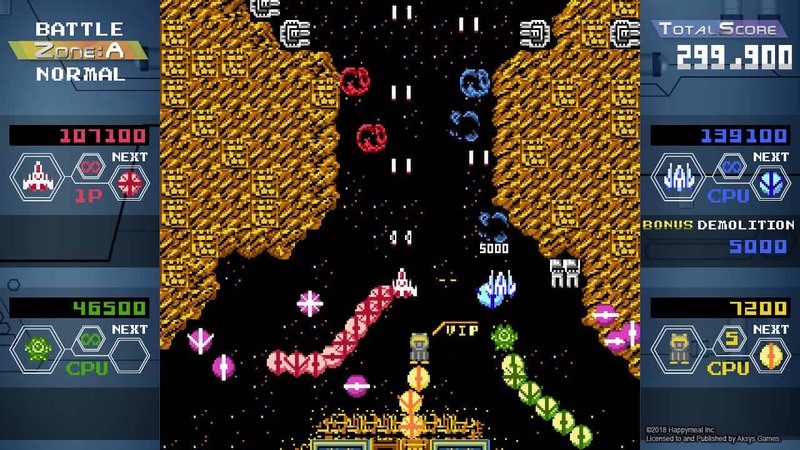 Aksys Games has announced that Quad Fighter K will release on Nintendo Switch, a local co-operative retro shooter that will challenge you to defeat the alien hordes that threaten Earth. When a mysterious alien race set its sights on conquering Earth and annihilating the human race, this threat was met with an all-out counterattack by the Earth Defense Corps (EDC). But, despite their best efforts, the alien’s superior technology was too much to overcome and they took over most of the planet. Now, mankind has retrieved alien artifacts that will allow them to launch one last desperate assault, and that’s where you come in. The last-ditch plan is to attack the enemy headquarters with all they have, to destroy the central core of the alien base. You won’t have to face that mission alone, with up to four players able to team up and fly alongside one another. And, while you can take it on solo, there’s the chance to link your ship with your allies to unlock more powerful attacks to shoot down your alien invaders. Quad Fighter K will release on the Nintendo eShop for Nintendo Switch worldwide in summer 2018.